Many small businesses and families need independent health insurance. In Florida, the Office of Insurance Regulation reviews health insurance plans that offer wellness and preventive care benefits. Insurers must provide access to health care and medical services when the insured needs them. 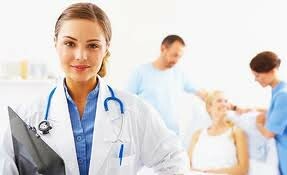 A private Florida PPO allows the insured to receive health care and medical services for any provider or doctor. Costs to the insured are less when he or she uses the PPO’s in-network providers. All PPO plans in Florida require the beneficiary to pay a deductible. It’s necessary for the insured to meet the deductible threshold before the PPO plan begins to pay a portion of healthcare costs. Check the PPO provider directory. Confirm that the surgeon, surgical center or hospital, or other healthcare providers are participating in the PPO network. Call the healthcare provider’s office to confirm that he or she is in the PPO network. Realize that you must pay more for healthcare providers who don’t participate in the PPO network. Note that some plans, such as Florida Blue, allow the insured to receive services from any healthcare provider or physician, but out-of-network costs may be significant. Check “pre-determination of benefits.” Ask the provider to estimate the costs of the procedure. Alternatively, use the private health insurance plan’s cost estimator tools. Before receiving any care from the provider, surgical center, or hospital, the insured must show his or her plan member identification card. This information can help the provider to determine the insured’s costs of care. Standard and high-deductible PPO plans are available in the state of Florida. To offset the out-of-pocket costs of care, it’s possible for the insured to use funds in a Health Care FSA or a Limited Purpose FSA for vision and dental costs. HMO plans can help the insured to save money on private health insurance plans in Florida. Unless the insured goes out of network, he or she typically has no deductible to meet for the plan year in a standard HMO plan. The insured may need to make copayments for provider visits or make higher contributions for coverage. A Health Care FSA can help members to offset the costs of healthcare in Florida. A high-deductible HMO costs less in premiums to the insured but includes a higher deductible, such as an in-network per person or per family deductible for the plan year.